Heavy period (also known as menorrhagia), is when a woman loses an excessive amount of blood during consecutive periods. Heavy bleeding does not necessarily mean there is anything seriously wrong, but it can affect a woman physically, emotionally and socially, and also can cause disruption to everyday life. 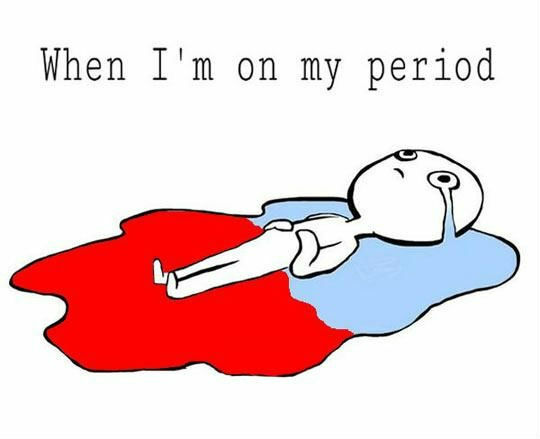 Is this you during your period? So, how much is considered heavy? According to NHS Choices, the average amount of blood lost during a period is 30 - 40 ml, with 9 out of 10 women losing less than 80 ml. Whereas heavy menstrual bleeding is considered to be 6- 80 ml or more in each cycle. So, how is your current feminine pad choice holding up every time you are having your period, especially during the heavy flow? And how are you feeling with the overflowed pad and have to keep on changing the pad almost every hour? You must be feeling uncomfortable and irritated. As I have mentioned in my previous posts, Bio Seleza has a very high absorbency ability. Here are some videos demonstrating the absorbent ability of Bio Seleza. First we pour 50 ml of blue dye onto the pads. We chose 3 pads, 1 of Bio Seleza and the the other two from among the famous brands in Malaysia. Why 50 ml? It is the average number of menstrual bleeding. 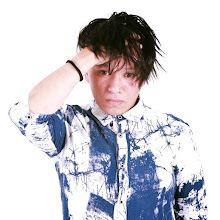 Why blue? If we were to put in red dye, it would become so 'blood like' and some people might find it uneasy to look at. Then we put on a piece of tissue on each pad and almost immediately you could see that the other two famous pad are not absorbing the dye as much as it should be. Imagine your good self wearing the pad, walking around in your office. Whereas Bio Seleza could easily absorb the 50 ml dyed water and leaves no wet mark on the tissue, even after you suppresses the tissue with your palm onto the wet Bio Seleza pad. As well as Bio Seleza could absorb the mentruation, please change your pads regularly for hygienic purposes. Do not go around the whole day without changing your pad. That is just DIRTY girl. Also, cleaning the pad is rather easy. As the gels used are biodegradable, you could just wash the pad over the toilet bowl and flush the gel down the toilet. Fold the pad and throw it into the dustbin. Bio Seleza is not available in any departmental store. Contact me today to get yours for a discounted price. Pssstt... you might get some free gifts too. So, how much is the cost for Bio Seleza? We have a few types here. At some times, it can really become uncomfortable when it happen. Thanks for this info. Difficult... which is why I am thankful that I work from home. I always wondered how other ladies managed! Great information on how to be hygienic! arent there like smaller trial packs? I would love to give it a go, if it was cheaper. i learn a lot at your website. I normally very ignorant on such things. When time comes just bear with it. Good one! The pad looks great in absorption. Will check this out. woow...just knew this special range!! sometimes really felt headache facing that prob!! is it any trial pack available? I always had heavy bleeding. Its so frustrated! Will check this out and thanks for sharing ya! Choose the right pad is important to prevent leakage and keep us hygiene and comfortable all the time. Thank you for the recommendation and I still consider the price that has send to me. Will PM if interested to purchase. Thank you for the info! You are right when it comes to choosing the right pad during menstruation. Not only it's about how comfortable, most importantly, it's about the hygiene. That thing on the month sometime gives discomfort and inconvenient for us to do what we want. Hopefully the Bio Seleza can help. Interesting, Isn't useful for me but interesting. i guess from one woman to another, the flow varies. It also varies sometimes due to the emotional condition they are in..
amazing tht even guys have tips for this ;p i'm impressed! rawlins, why you know every secret about women?? the first pic, haha too much, too much gore haha. Cheers to the tips Rawlins, this will be quite helpful ;) Definitely impressed. Wow looks amazing. Wish to try it out one day but the price is quite expensive. Seems like a good one. Been finding one good brand to replace my current one, which makes me itchy, the bio degradable materials sounds green and may solve my problem! thanks for sharing. ya OMG! and thats where we always ask our friends kept on to help us check if there's any leaks! >.< Would check out about this product more! however i your your post before !! just back to check the info. Learnt tips from you for my monthly mess :) thank you for sharing.